The beauty of simplicity. 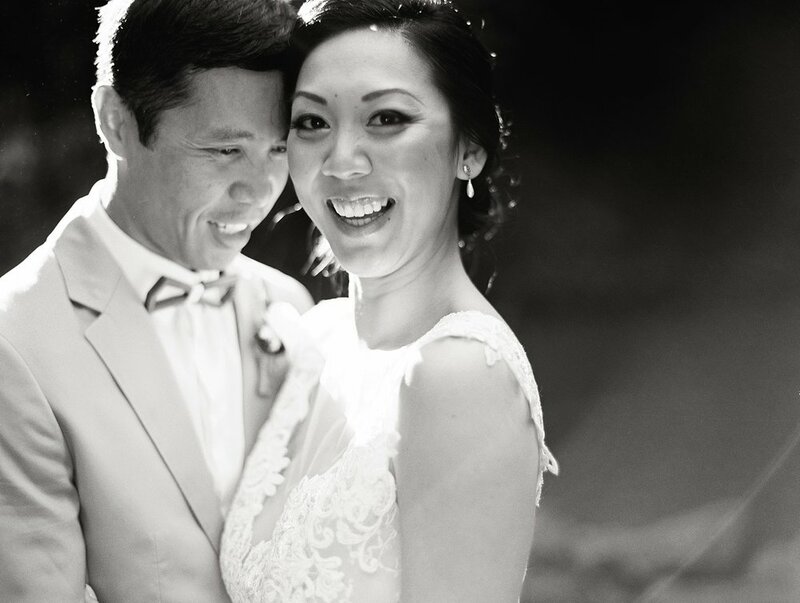 This wedding goes down as one of my favorite weddings EVER. It involved getting ready, together, with their feet in the mud. The dress getting wet before the ceremony, and that being totally okay. Bug spray instead of perfume. She wore earrings that she had been gifted as a flower girl, when she was 5 years old. 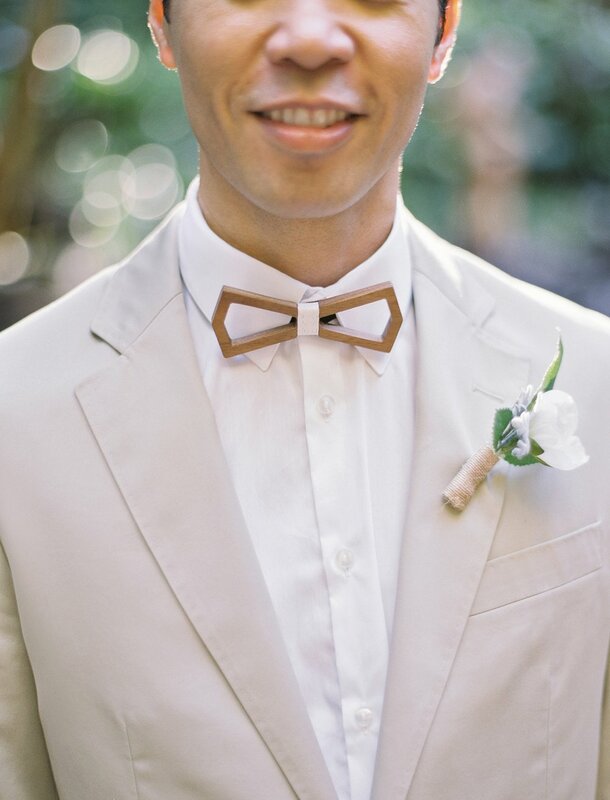 He donned a wooden bow tie that wore more like a piece of art. 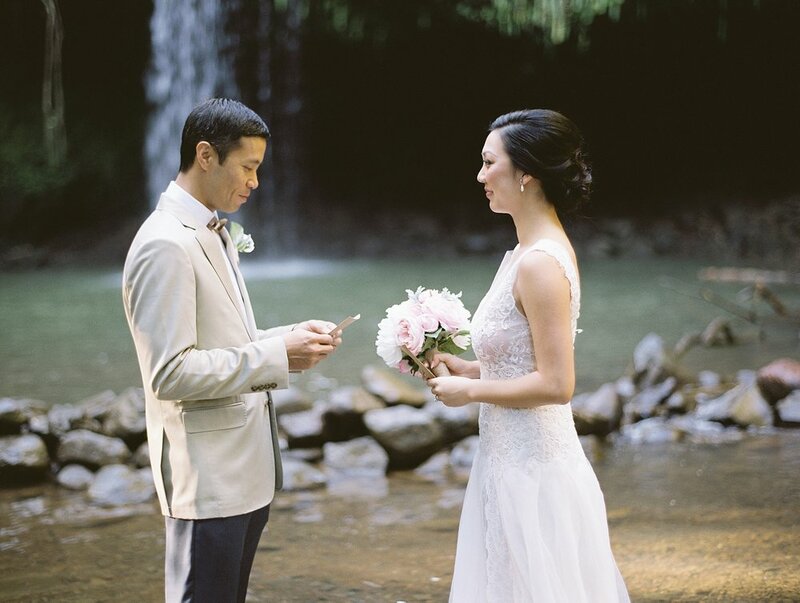 It involved thoughtfully written vows, tearfully exchanged at the foot of a waterfall. And the applause of strangers who had happened by just in time for the first kiss. And it involved champagne. And laughter. Lots of it.